FROM £25.34 per case. 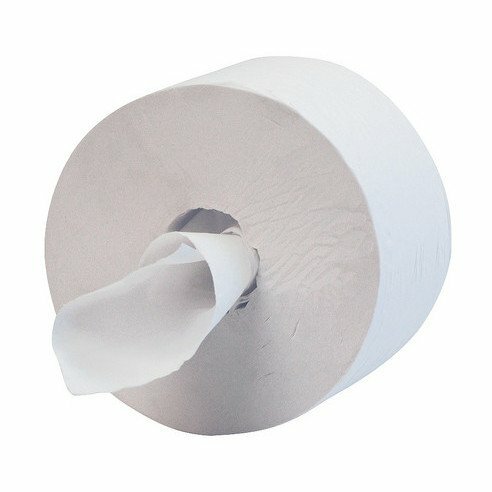 Lotus SmartOne Toilet Rolls 200m x 6 rolls. The Lotus Smart One toilet rolls system's unique features create real benefits for businesses, providing maximum efficiency, combined with sleek design and hygienic dispensing. Users only touch the sheet taken, helping to reduce cross-contamination. No waste, no mess, just smart, tidy washrooms. High capacity toilet tissue dispenser. Lasts longer between refills than any other dispensing systems. Ideal for high traffic washrooms with multiple cubicles. Single sheet dispensing reduces consumption. Easy to use, the next sheet is presented and ready to take. Convenient sheet size is ideal for use. Each pack contains 6 rolls of 1111 sheet 2 ply toilet tissue. Q. I would like to know the recycled and/or the FSC content for this product? A. These toilet rolls are not FSC certified but are 75% recycled.